Dendric Agate is a variety of chalcedony quartz, easily distinguished by its distinct plant-like markings known as dendrites. It is considered to be one of the rarer and more sought-after varieties of agate stone, although it is technically not a true agate since it lacks the typical banding of other agate stones. The Greek word for tree-like is Dendrites, but the inclusions are not organic at all, they are actually formed by traces of iron or manganese. Dendritic agate is mined in Brazil, China, India, Australia, Kazakhstan, Madagascar, Mexico, Mongolia, Namibia, Uruguay and the USA. Dendritic Agate is associated with abundance, prosperity and growth in every aspect of one’s life. Dendritic Agate has a deep connection to nature, and can assist those involved with conservation projects. It has a grounding and calming energy, which reminds us to stay connected, not just to the Earth, but to our own roots, in order to grow. It is often used to aid in grounding, helps build confidence and perseverance. Dendritic agate works with it's wearer to maintain a positive attitude through transformations and periods of shift and growth. 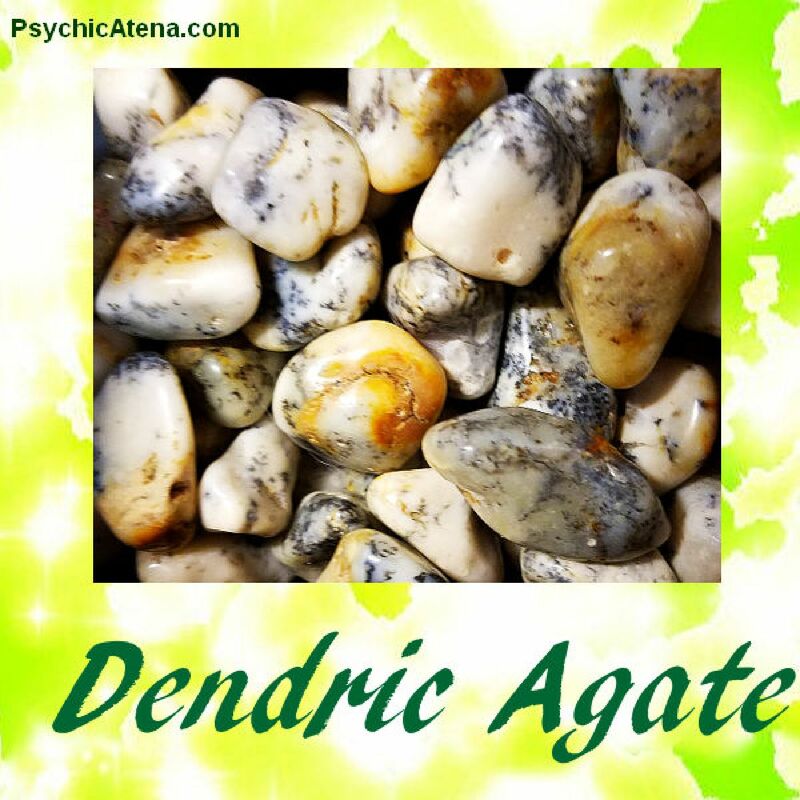 Dendric Agate inspires growth, wisdom through inner work, opens one’s eyes to the self and the divine blueprint.